WHEN EVIL CAN TAKE ANY SHAPE, COURAGE MUST BE INDESTRUCTIBLE! Nearly 40 years ago the world trembled for the first time as the vengeful alien voice of the Mysterons threatened global death and destruction. 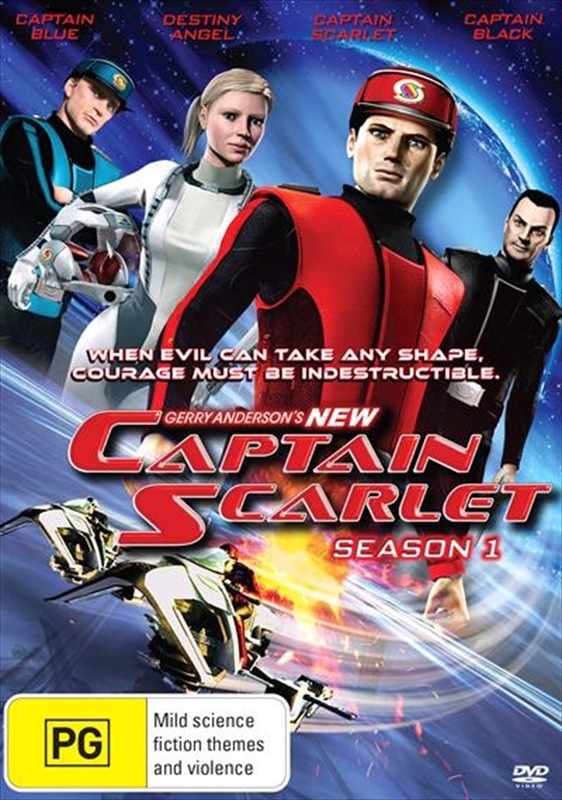 In 2005 the invisible, body-snatching Mysterons will wage war again, and Gerry Andersons indestructible hero Captain Scarlet will once more go into action this time with no strings attached! Gerry Andersons New Captain Scarlet will take family sci-fi action adventure to another level and CGI television animation into a new dimension. Set twenty years after mans first steps on Mars, Captain Scarlet and Captain Black - agents of elite security force Spectrum - are sent to investigate alien signals from the planet, but trigger a war with the Mysterons, who possess the awesome power to rebuild and control matter.